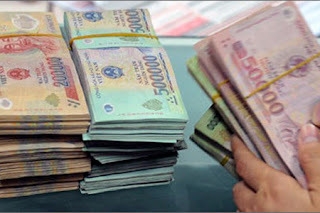 The capture of Phan Huu Hieu, the kingpin behind the large-scale transnational trafficking of heroin from Laos into Vietnam was the culmination of a trap that was many months in the making. 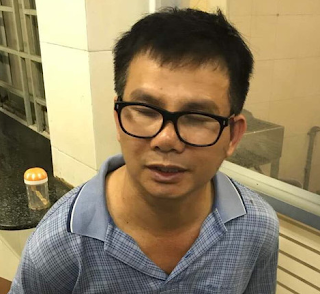 Hieu, nicknamed “Mouse” and six others were arrested during a raid that seized 59 kilograms of heroin. 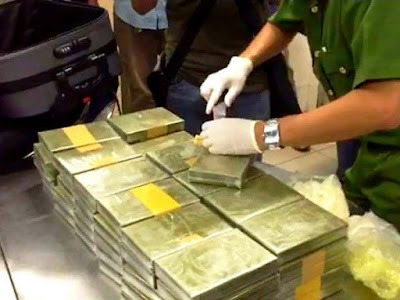 Hundreds of thousands in cash, high-end cars, foreign currency and 15 houses and other properties were seized. The poor country kid became a major figure in the underworld, but his extravagant lifestyle did not go unnoticed. Police watched Hieu for a long time, but he took each action with extreme care. 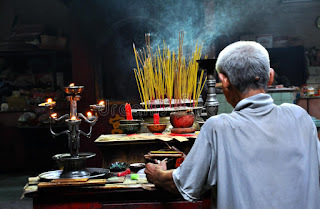 Hieu was a superstitious man, offering prayers and incense in pagodas before an operation began. 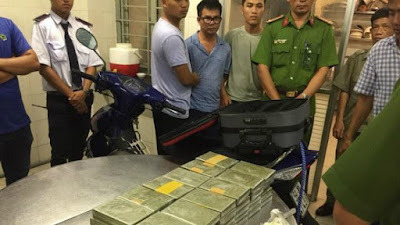 Before the final crackdown, police had to “live in dangerous conditions” for months to study the modus operandi of Hieu’s drug ring, and follow the drug lord as he made frequent flights back to Nghe An, his hometown. 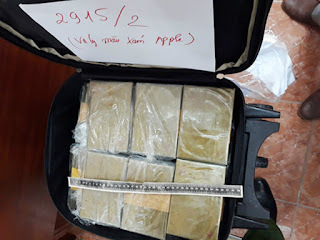 In the first five months this year, Vietnamese police have confiscated approximately 880 kilograms of heroin, double compared to the same period last year.